Are you looking for a new vacuum? Visit our large showroom and see all that we have to offer. Our friendly, professional staff will help you find the vacuum that best meets your specific needs. We will take the time to teach you exactly how to run and maintain your new vacuum cleaner. By the time your transaction is complete, you will know how to change the belt, bag, filter, and even turn it on..
With over 50 years in business, we have built a reputation for quality products and excellent service. Our amazing showroom provides a comfortable place to see, touch, and experience the new technology in built-in vacuums, uprights, canisters, and shampooers. When you shop for your new vacuum with us, you get the opportunity to take it for a test drive. We have a test area where you can try any vacuum before buying it to make sure it is right for you. 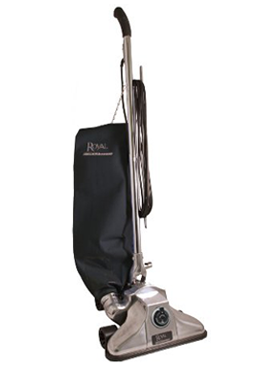 You will find the quality vacuum cleaner you need among our selection. We are proud to be authorized dealers of the most trusted brands, including: Beam, Dirt Devil, Electrolux, Eureka, Hoover, Miele, Oreck, ProTeam, Royal, Simplicity, and Sanitaire. We are confident that you will love your new vacuum. In fact, we are so convinced of the quality of our products that we provide a comprehensive warranty on every vacuum we sell. We are your local vacuum experts, serving the Magic Valley and Wood River area for 57 years.